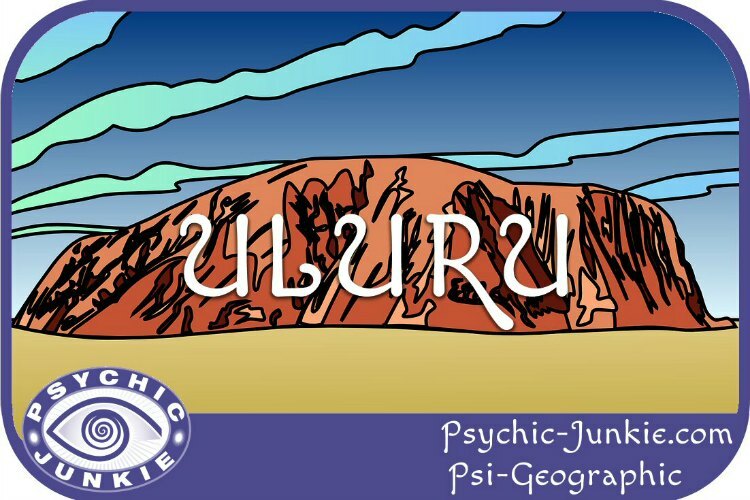 Psi-Geographic goes to Spiritual Magical Uluru. The largest remote rock on Earth, and resonating with our Solar Plexus Chakra, Uluru has a powerful vortex to help you know yourself and regain your personal empowerment. Uluru, a.k.a. Ayers Rock, is a mammoth sandstone formation, amidst the Australian outback. Situated in Uluru-Kata Tjuta National Park, Ayers Rock is about 1,142-feet high, with a circumference of 5.8 miles. As if an iceberg sprouted in desert sands, a majority of the rock is underground. Taking a tour of Uluru’s cliffs and caves is a must-do. Aboriginal myths call creation ‘The Dreaming’. The story of Dreamtime is portrayed via innumerable petroglyphs, which were carved in the rock by prehistoric Aborigines. Countless outcrops on all sides of Ayers Rock are considered ancestor tracks. Local Anangu people communicate with ancestor spirits by touching the outcrops. Strewn around its base are small stones, called ‘Uluru’s Children’, Alcheringa or Uluru Amulet stones. Alcheringa stones are more powerful than a run-of-the-mill good luck amulet. It is believed they connect the wearer to the earth, ancestor spirits and Dreamtime. These stones accumulated original volcanic energy, which can be used for healing conditions such as depression and balancing the metabolism.  Because Uluru Amulet stones cleanse Biomagnetic fields, psychics can see their client’s auras and hear valuable insights with crystal clarity. However, Alcheringa stones are earmarked for natives. Just in case you get the not so brilliant idea to pocket a pebble, it seems there is curse that would activate bad luck. There are stories of people who took some of Uluru’s little children home and then mailed them back in effort to remove the curse. There is a certain incredulity about seeking enlightenment at metaphysical sites – the wonders never cease. Although Uluru is situated in a desert, a real phenomenon occurs when it rains. And if you happen to come when it rains, you will be among the fortunate one percent of visitors, who have an opportunity to see waterfalls! Your best option is between November and March when sporadic rains occur. When the wet comes, water streams from the rock and transforms its terracotta hue to an ethereal violet. Another auspicious site in the Uluru-Kata Tjuta National Park is Kata Tjuta a.k.a. The Olgas. Sprawling over more than 12-miles, Kata Tjuta or Many Heads in the native tongue, is comprised of 36 dome-esque rocks, which are reportedly 500 million years old. Express your adventurous side by walking the Valley of the Winds trail. The panoramic views are awe-inspiring and it’s not as packed with tourists as its sister site, Uluru. It’s a 4 ½ mile trek and gets steeper in certain areas. For a cooler walk, start shortly after you watch sunrise, when most tourists are sleeping. If you’re not up to the Valley of the Winds, consider the Walpa Gorge, which is an easier path of about 1 ½ miles and it takes around 45 minutes. Stop for a rest afterwards in the viewing area, and admire the sweeping scene of many heads. Each of the dunes exemplify a dreamtime occurrence and all are entwined with song lines. As natives ‘walk’ the lines while chanting, past and present link to become one. Watching the sun come up from the vantage point on Kata Tjuta is a definite don’t-miss. You’ve likely never experienced a sunrise quite like this one, in all your born days. In a spectacular display of light, the rock domes will change to vivid shades of oranges and brilliant reds. Sit with this bizarrely-beautiful experience a little while. Hear the Walpa (wind) blow. In the first place, there is no prerequisite to enlightenment that says you must sit on top of a mountain (or rock) to find it. Remember? The Buddha found his under a Bodhi tree. Yet, tourists have posed the question – to climb or not to climb Uluru – for decades. The Anangu locals wish you would not attempt to climb their sacred rock. But, thousands of visitors have been non-compliant and climbed Uluru anyway. And, 35 of them have died. Hundreds have been injured or succumbed to dehydration. Here, the path you take is your choice. You can keep on strolling around the rock or start scaling up Uluru. But, perhaps the real question to ask yourself is: Do I respect this sacred site and honor the Anangu locals request? Or, not? Finally, look at the bigger picture. Do I respect all living things and harm none? If you do and you know it, you’ll also know you are on the correct path to enlightenment. For, sometimes we must go ‘round in circles to get there. Your Account of Spiritual Magical Uluru? 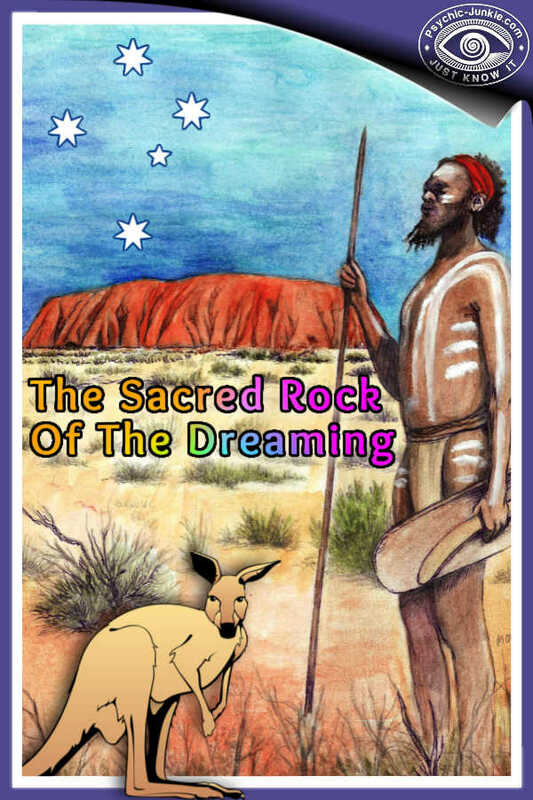 Do you have a story to share about a journey to Spiritual Magical Uluru?  Psi-Geographic welcomes your Guest Post here.